This post is sponsored by Dunkin’ Donuts but all opinions are my own. Think breakfast sandwiches are just for breakfast? Not at Dunkin’ Donuts! 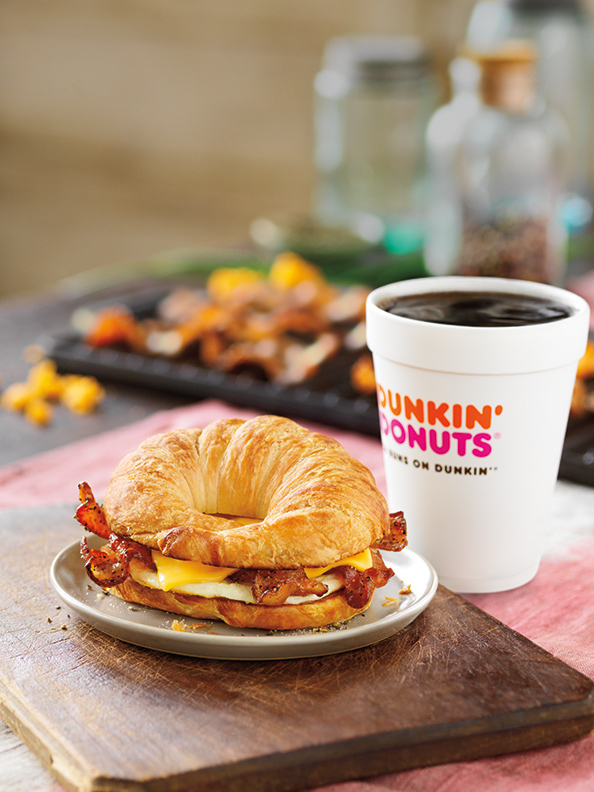 Dunkin’ Donuts’ full menu, including breakfast items, are available all-day. 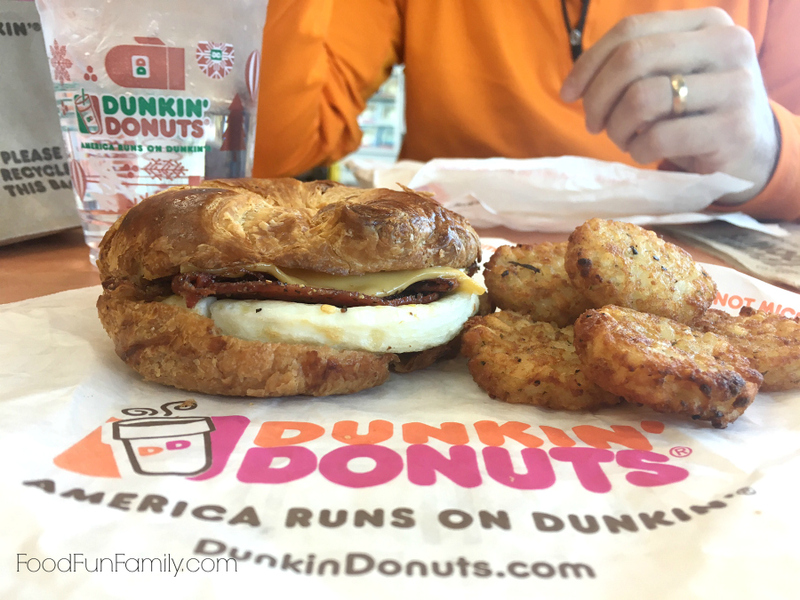 That means that when I’m heading home from dropping kids off at school, I can pick up a Dunkin’ Donuts Sweet Black Pepper Bacon Breakfast Sandwich…..and I can grab one for lunch when I’m out running errands in the afternoon, too (who else has some last minute Christmas shopping to finish up??). I tend to eat at wacky hours. Most days, I work straight through lunch, not even realizing that I haven’t eaten (don’t worry – I always eventually eat…just not on a schedule). I’m also a night owl, so I end up getting hungry a few hours after dinner while I’m working on the computer after the kids’ bed time. It’s a 24/7 world out there, especially for families like ours that don’t have conventional 9-5 clock-in/clock-out jobs. I know we’re not the only people who manage a lot of what we do – work, food, and sleep – without regard to the time on the clock. I do work whenever, so isn’t it awesome to have breakfast whenever, too? This past week, my husband and I headed out for a quick lunch together at Dunkin’ Donuts. I ordered the Sweet Black Pepper Bacon Breakfast Sandwich and he ordered a Turkey, Cheddar & Bacon bakery sandwich. We each added on a side of hash browns because…yum! My first impression of the Sweet Black Pepper Bacon Breakfast Sandwich, after taking my first bite, was that they got the “sweet” right! I loved the caramelized pepper bacon. It was the perfect combination of sweet and salty. Because it has bacon, egg, and cheese, it’s a perfectly filling meal for breakfast or lunch or a mid-day (or midnight!) snack. 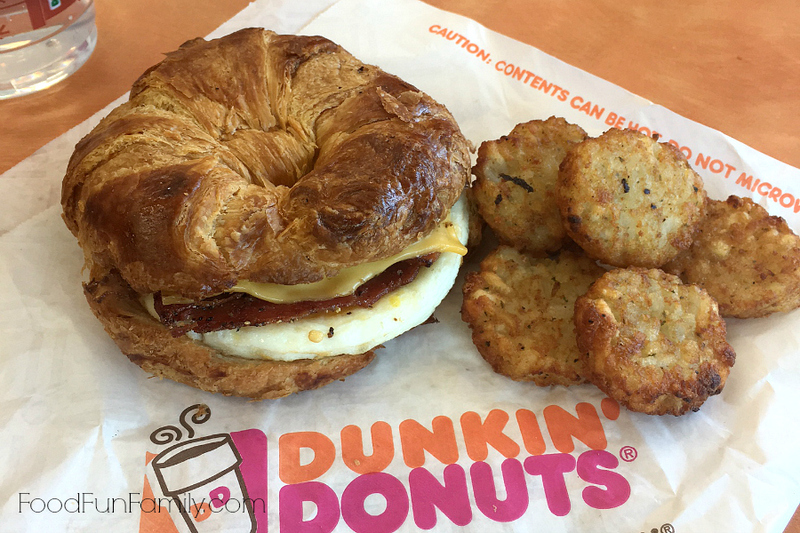 About the Sweet Black Pepper Bacon Breakfast Sandwich – a unique combination of sweet and savory featuring egg, a slice of American cheese and four strips of bacon coated in a brown sugar and black pepper seasoning served on a croissant. The Sweet Black Pepper Bacon Breakfast Sandwich is also available as a Wake-Up Wrap®, with ½ egg, a slice of American cheese and two slices of the special seasoned bacon, served on a small flour tortilla. Both are available at participating Dunkin’ Donuts restaurants nationwide now through early 2017. 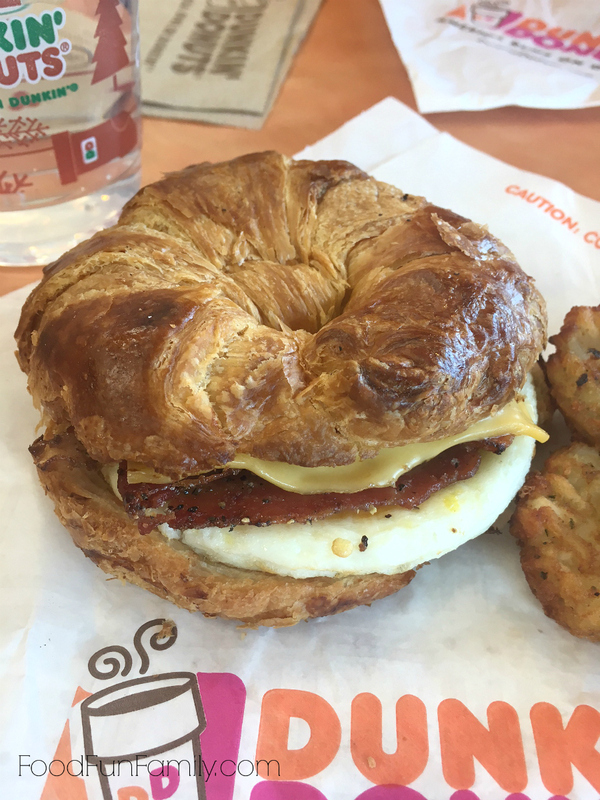 It’s been a long time since I’ve been in dunkin donuts, so long in fact they were only doinig donuts, now they have fancy breakfast sandwiches that look tasty and fancy coffee. I love Dunkin Donuts and the sandwich looks so delicious and a good one to have with one of these hot cups of coffee. I want to go and eat there now! Why in the world have I never eaten breakfast from Dunkin Donuts before?! This looks so delicious! I wish we had a Dunkin Donuts nearby!!! I’d make a special trip there to try that! Looks yummy.